A group picture of the 4 member contingent at the NBL Draft Combine. From L to R- Amjyot Singh Gill, Vishesh Bhriguvanshi, Amritpal Singh and Yadwinder Singh. 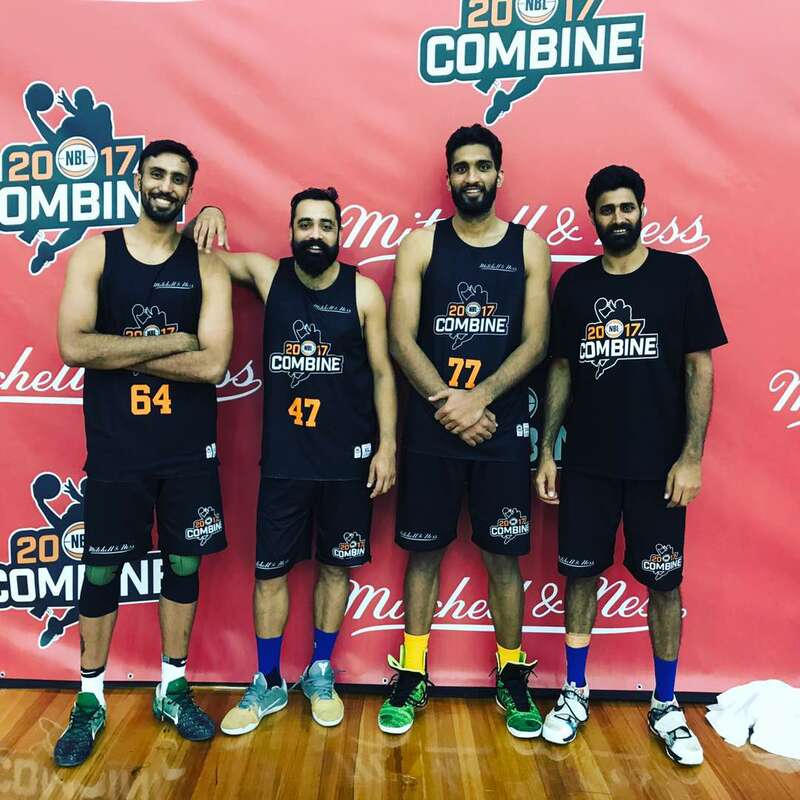 Indian basketball players Amritpal Singh, Amjyot Singh, Yadwinder Singh and Vishesh Bhriguvanshi were invited to Melbourne by the National Basketball League (NBL) to participate in their draft combine for the upcoming 2017-18 season. Amritpal Singh stood out amongst all the participants and impressed the scouts. The Combine took place on the 17th and 18th of April, 2017 in the Melbourne Sports and Aquatic Centre. Bengaluru/Melbourne, 24thApril, 2017: India’s international basketball star Amritpal Singh has impressed the Australian scouts and the media alike at the recently concluded NBL Draft Combine at the Melbourne Sports and Aquatic Centre. The Combine took place on 17th and 18th April and also featured three other Indian players Amjyot Singh, Yadwinder Singh and Vishesh Bhriguvanshi. Amritpal Singh ended the Combine tied as the leading shot blocker among all the participants. His defensive presence coupled with his footwork were the talking points amongst most scouts and drew comparisons with former players of the NBL like Matt Hodgson and Matt Smith. 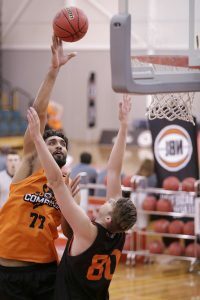 The captain of the Indian National Team, Amritpal Singh, could potentially be the first Indian-born player to play in the NBL… Singh, … with a large frame and giant wing-span, was one of the standout performers at last week’s NBL Combine in Melbourne, capturing the attention of a number of coaches in attendance. “I loved his work ethic, desire to learn and his coachability. He runs the floor really well and he’s a good passer and those traits alone for a big guy are going to be attractive to an NBL team. Depending on the system, I think he has the ability to contribute. His work ethic, his passion for the game and his desire to improve make him a worthwhile investment,” said former head coach of the Sydney Kings, Damian Cotter, who spent some time last year working with the Indian team. Amritpal was part of the 4 member contingent of basketball players that were invited to the NBL Draft Combine. The Combine took place on the 17th and 18th of April. A total of 80 players participated in the Combine. These included returning US college players, South East Australian Basketball League (SEABL) players, Australian state league players, and members of Australia’s national U18 and U20’s teams. As standard practice, players participating in the NBL Draft Combine must pay an entry fee of AUD $250. However, this fee was waived off for all the invited Indian players. The waiver of fees for the Indian contingent by the NBL is just another sign that the NBL has serious intentions to enter the Indian market. Last year, the NBL signed a historic deal with VEQTA to stream NBL games live in India. Under the new rules of the NBL, the players belonging to the countries of the FIBA Asia zone would be given a separate spot that would not take up any of the three spots reserved for the foreign players. This move has been made to attract the top Asian talents an d ensure that they consider the NBL as a serious destination to ply their trade.